Lily's Kitchen Beef, Potato and Vegetable Dinner is a wholesome recipe made from fresh beef (60%), organic potatoes and a variety or organic fruits, vegetables and herbs. These include organic green beans, organic apple and vitamin-rich herbs such as dandelion and burdock root. The ingredients in this natural dog food are easily digestible and free from grain, making it the perfect choice for grain-intolerant dogs. Suitable for puppies 4 months and older. Please Note: Lily's Kitchen Beef, Potato and Vegetable Dinner for Dogs is now called Lily's Kitchen Cottage Pie- The only difference to this delicious dish is the name on the label - the recipe is the same, made with 60% fresh beef. Please click here for the full feeding guide from Lily's Kitchen. 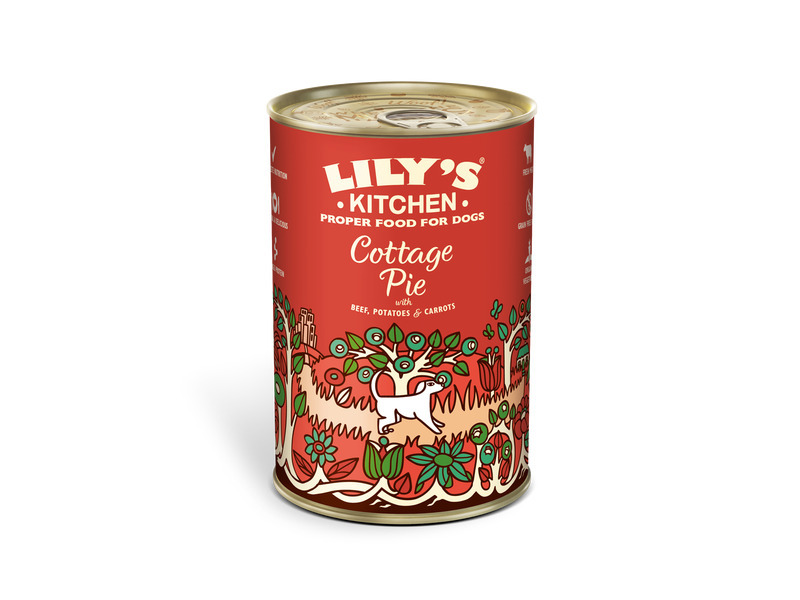 There are currently no questions for Lily's Kitchen Cottage Pie Dog Food - be the first to ask one!